Search Engine Optimisation (SEO) is the process of trying to improve a website’s search engine rank to attract more people to it and ensure those people are provided with useful high quality information that solves their problems and answers their questions. I was trying to think of a good analogy to explain what SEO is like and I came up with horse racing because I see many similarities. Doing this is really risky because it can result in your website being banned from search engines which will give you a bad reputation. After that you have to rely on some luck to win. The Internet has lots of competing websites all trying to get top search engine rankings and obviously all of them can’t be #1. What a fantastic analogy! I think I might forward this over to my boss so he can better understand what he pays me for…haha.. I had a google pagerank of 3 last week, but when I checked this week it was back to 0? Is this because of some embedded links I have from sponsored posts? I can’t think of any other reason….Your thoughts on this would be appreciated. Intriguing analysis. I never thought of SEO in this way, but interesting nonetheless. That is absolutely fantastic! Great analogy. Great post and fitting analogy. It boggles the mind how many SEOs continue to promise top rankings and I often find myself disadvantaged when I refuse to tell prospects “what they want to hear”. i wouldnt use the word illegal though… that infers some moral balance that search engines simply lack. when they pay someone to steal my content and wrap it in their ads THAT is illegal. if I violate their guidelines then that is a violation of guidelines…not something that is illegal. If the person busts their bottoms to get to the top then why does it have to be illegal? Great Article. You have done a great job describing how SEO look like in real life. Keep doing good work and we all appreciate you for this effort. 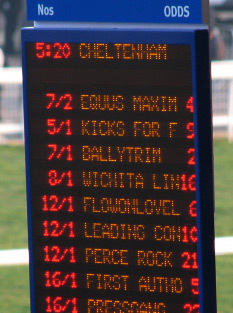 Jockey Must Keep Hitting the horse to make him ran faster. Webmaster are like Jockey. The problem is finding a trainer that knows what he’s talking about. Half of them seem to just repeat what they’ve heard. Guess the next article could be how a Trainer is like a parrot. Hi! Great analogy … Yes I agree that a good (honest) trainer and a (honest) jockey will make the difference…. This articles opened up my eyes about SEO. Not all sites can be number one. Pity so many people still get taken for a fool when it comes to SEO promises. 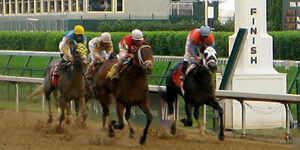 This article is definitely an interesting concept on SEO, never thought of it being similar to horse racing. It has definitely taken a while for the company I work with to implement the SEO strategies to get a top page ranking, but it is all worth it in the end. i’m always been fascinated with search engine optimation this is what online marketing is all about….getting your own url at the first seat in the search engine and wow your analogy is very relevant i play horse betting and for me i always go to the horse with a good trainer and of course the jockey you really get me thinking about your analysis,hey buddy great job!! Very nice analogy, yeah, I am a Trainer frist to train my Horse, then I become a Jockey to race my Horse. Just be careful when hiring an SEO trainer. Sometimes they don’t really know what they’re talking about. They buy an ebook, and just read it back to you. You’re completely right when you say “No one can guarantee a #1 ranking on Google”. Too many consultants are promising number 1 results. Top 5 or 10 is much more likely. Hi Neerav – been meaning to tell you how much I enjoy this article. I stumbled upon it a few weeks ago and still thinking about it. It’s nice to read a realistic view of SEO – it’s hard to guarantee top results and it’s challenging when there are so many parties involved – that’s part of the fun – reminds me of trying to solve a mystery – looking for clues and putting together the puzzle of what will work for each client. you definitely nailed the comparison of increasing traffic. this is really a sure definition of internet marketing today and mostly a lot are racing like a horse just to make sure they get the number 1 spot of Niche Rank. very funny and informative post. like it!